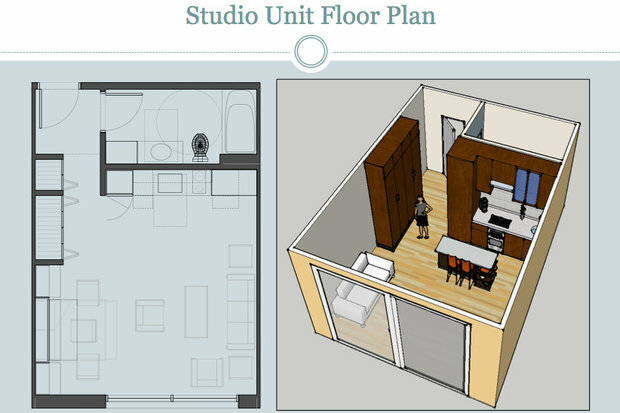 A developer has plans to expand a micro apartments project from 52 units to 135. 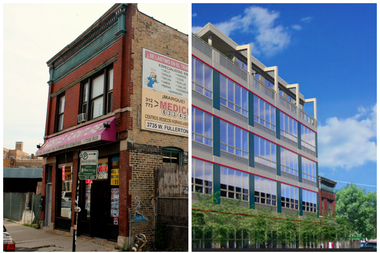 LOGAN SQUARE — Plans to more than double the scope of a proposed "micro apartment" development are unlikely to move forward in their current form. Savoy Development is seeking to increase the project at 2328 N. California Ave. from 52 units to 135 apartments. The plan originally called for demolishing a former car wash to construct the apartment buildings. The proposal now includes expanding the project to an adjacent plot of land directly north of the site, including a furniture store and an apartment building behind the store, which the developer recently acquired. Both would be demolished for the expanded development. The lot eyed for the proposed expansion, 2340 N. California Ave., is a larger parcel than the lot in the original plan, 2328 N. California Ave. The shuttered car wash where the original proposal was supposed to be built. "It's much larger," said Sally Hamann, chairman of the Greater Goethe Neighborhood Association's zoning and planning committee. "That north lot is deep." The neighborhood group reviewed the project and had a number of concerns and recommendations; among them, members opposed raising the height of the building from five stories to six stories. Ald. Joe Moreno's (1st) chief of staff, Raymond Valadez, said the alderman is waiting for the developer to respond to the neighborhood association's review before moving forward. "We are waiting for the developer to address those recommendations and make the necessary adjustments and revisions to the plan," Valadez said, adding that the developer is expected to create a revised proposal soon. After that happens, there will be a community meeting to discuss the new proposal, according to Valadez. Hamann said the group was caught off guard by the expansion proposal. "I was surprised," she said. "I thought [the original proposal] had already passed City Council and it was a done deal. Now we are taking a look at it again." 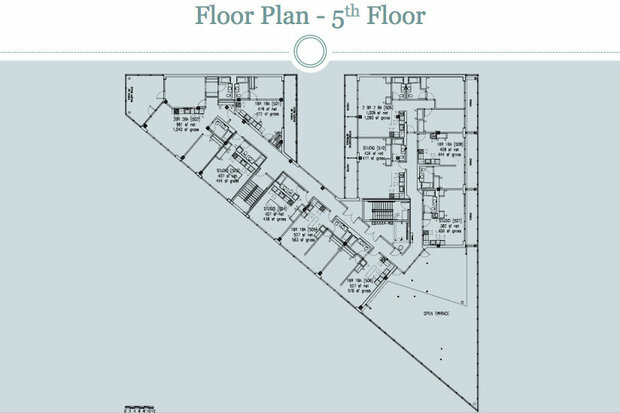 • Bringing the project back down to 5 stories rather than 6. • Setting a minimum 10-foot setback on the front side of the building for the top floor. • Increasing the green roof from 50 percent to 100 percent. • Creating two 15-minute loading zone parking spaces for deliveries to ensure California Avenue is not blocked. The original five-story, 52-unit development proposal was approved by the city's Plan Commission in March and appeared to be moving forward until the developer announced its new plans. The new proposal also calls for retail on the ground floor of the development and 48 parking spaces. The original plan included 18 parking spaces and six affordable housing units. Enrico Plati, founding principal at Savoy Development, did not respond to request for comment. The Greater Goethe Neighborhood Association's zoning and planning committee requested the development increase the number of affordable units to 14 to meet the city's minimum 10 percent requirement for developments. 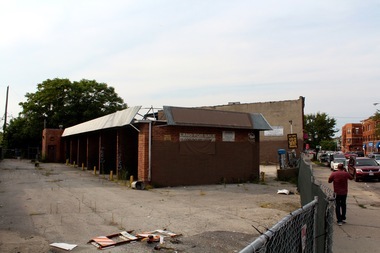 Andrew Schneider, president of Logan Square Preservation, said his group opposes the demolition of the buildings to the north of the car wash that the developer wants for the expansion. "We think [the proposed expansion] encourages the destruction of historic buildings," he said. "We are sad to see this is the case here." 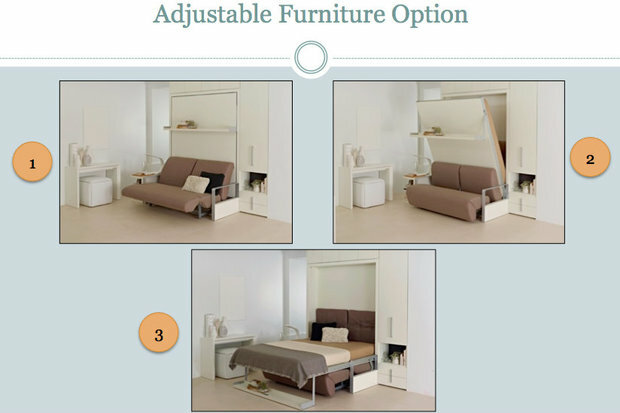 The price of the micro rental units, with an average size of 439-square-feet for a studio, 537-square-feet for a one-bedroom and about 1,000-square-feet for two-bedroom units, surprised some in the community. Studios in the original plan would be $1,200, one-bedroom units $1,400, and two-bedroom units will go for roughly $2,100, according to the developer.